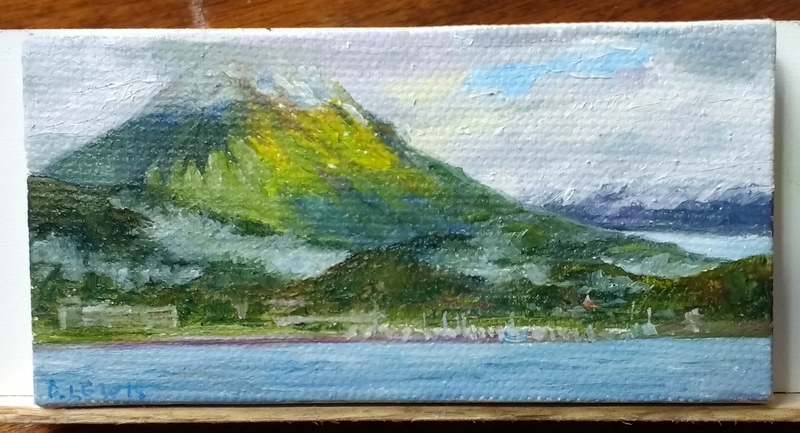 I have decided to try selling some mini paintings. These are very difficult to photograph clearly but I did my best at this point. 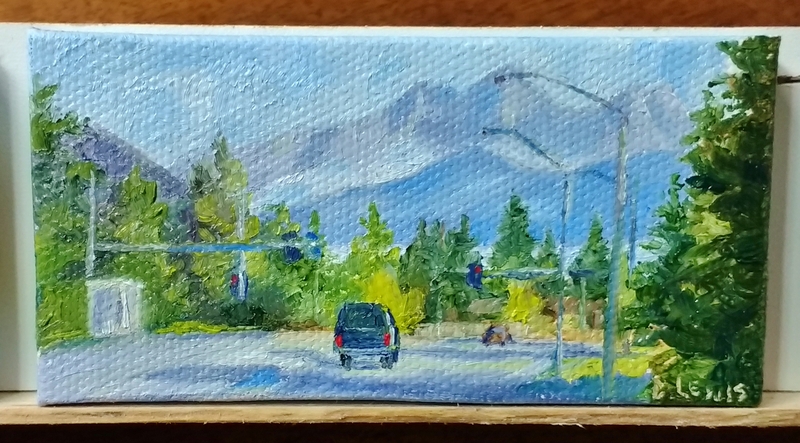 Each of these are 2×4 inches. I do not plan to frame them because they are stretched canvas and I painted around the edges. I do plan to add some sort of ribbon or hanger to show how they c ould be used as ornaments. They also look really cute on the mini easels that are available. 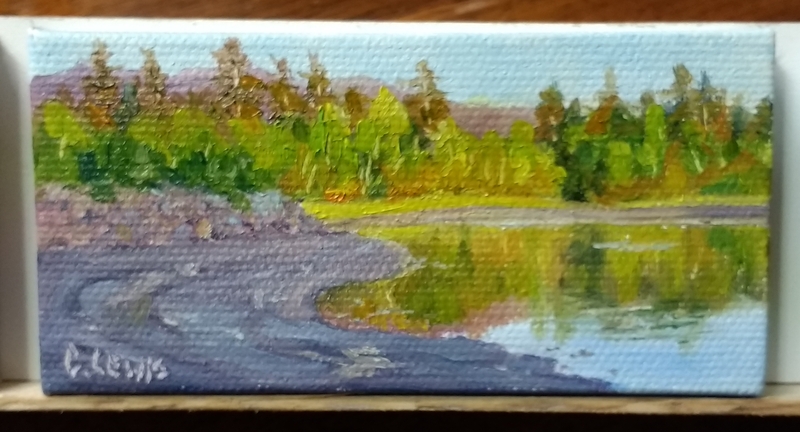 This entry was posted in alaska, glacier, landscape, mountains, oil painting, Uncategorized, water, wetlands and tagged Alaska, glacier, Juneau Alaska, landscape, miniature oil paintings, mountains, oil painting, water, wetlands, woods by Artwithmycoffee. Bookmark the permalink.